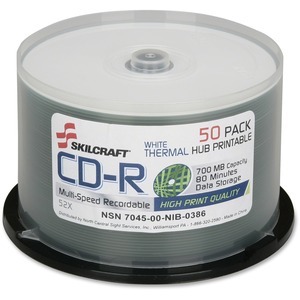 Thermal printable, 52X CD-R discs allow you to print directly on the compact disc's surface for quick, easy labeling. Use 700MB compact discs with Rimage, Epson and Primera CD thermal printers. Write-once format is designed to produce 80 minutes of audio. Matte surface delivers excellent print quality.